Looking inside of your engine, you will find that precious few things take more of a beating that the pistons themselves. They have to tolerate the abuses of controlled explosions, tons of forces within the span of hundredths of a second, heat like you would not dare to think of, and they have to do this at varying speed, load and that’s before you hot-rodders start throwing extras at them. Nitrous, boost, different fuels…the slugs inside of the block might not get much thought when it’s your daily driver, but in that bullet you are putting together for your hot ride, you better pay attention and get the right equipment the first time. Anyone who has ever seen any kind of piston failure aftermath knows that there isn’t really a second chance option…that’s “new block” territory! BBC 20° Elite Sportsman Drag Racing piston: This is the sportsman racer’s special. This big-block Chevy design is an off-the shelf piston set up for 20-degree heads, with 18 and 16-degree versions coming soon and other setups already in production. 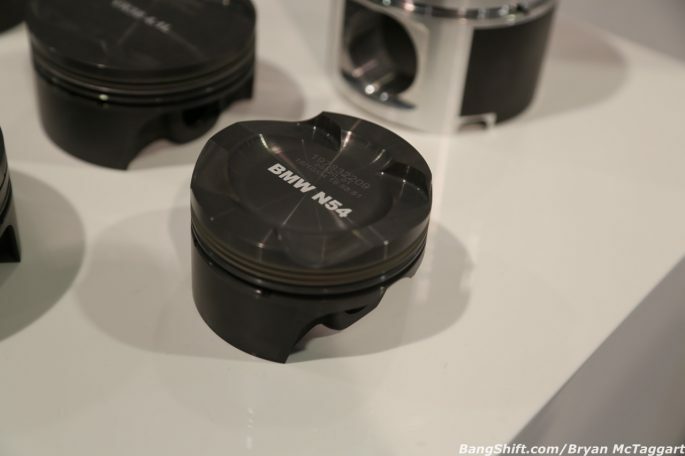 LS1 5.3 2cc Drag: Boosted applications, here’s your option. 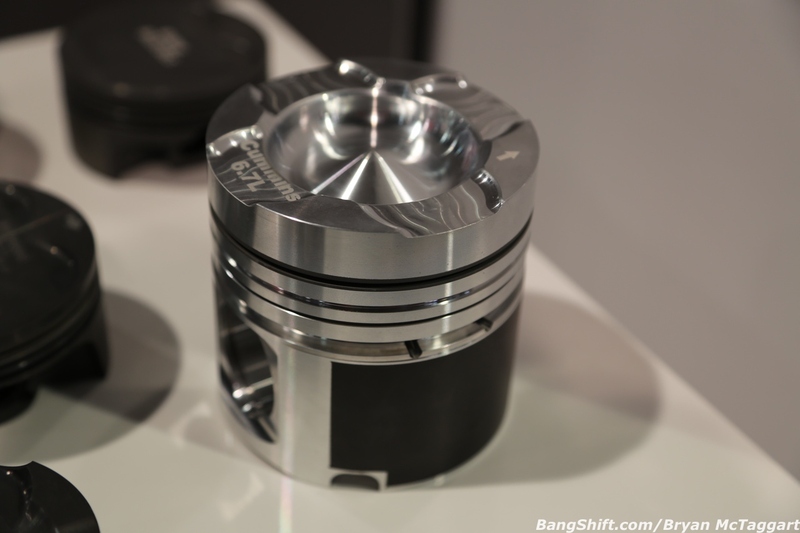 Everybody wants to throw turbochargers at an LS mill and make big-time power, so do your engine a favor and give your rotating assembly a fighting chance. Slipper skirt forging, thick ring lands, gas ports, anodized top ring land. Boost away, friend. 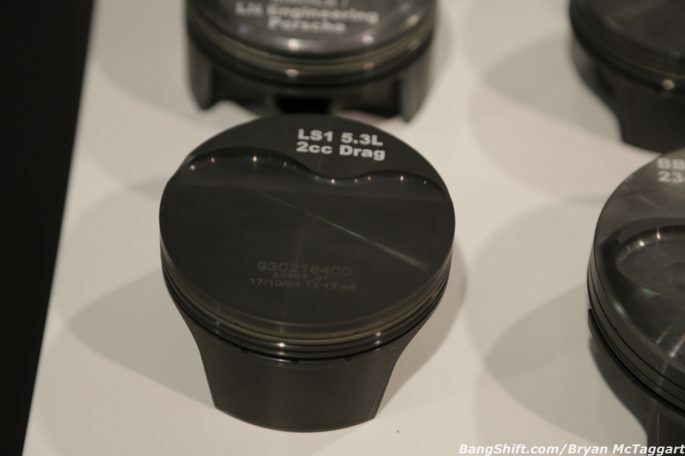 Nissan VR38DETT 4.1L stroker piston: Does your R35 GT-R lack in power? Seriously? 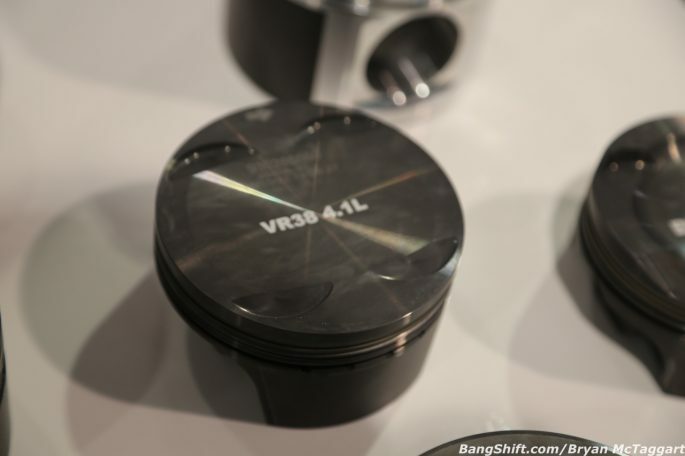 Well, a stroker kit is a good way to wake up the power of the VR-series six that drives Nissan’s giant-killer, and Mahle makes the pistons that will support the build. BMW N54: Euro fans get love, too! 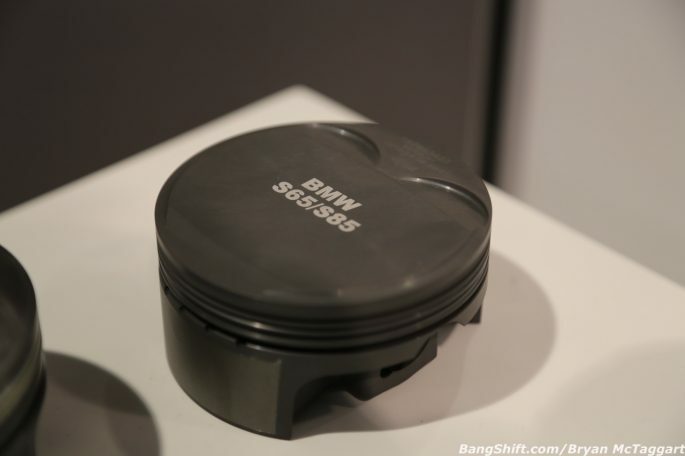 The BMW 3.0L inline six has plenty of untapped potential, and all you need is to mess with the turbocharger and you can give all of the Japanese import guys something to think about. 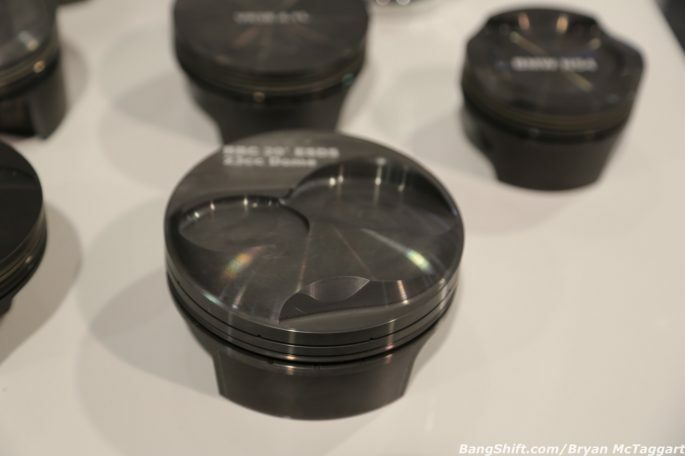 A large fire land and anodized ring grooves will help keep the pistons from going into meltdown mode when the turbocharger gets to work. BMW S65/85: V8 and V10 BMW owners, you weren’t left out, either. Mahle’s gold-series coating allows this piston to be installed in the aluminum engine bore without sleeving the block and yes, this piston can take boost, too. 6.7 Cummins Performance Forged: This is a competition-only piston that fills in the Performance Forged Cummins offerings already in place for 5.9L Cummins engines. Coated skirts, hard anodized ring grooves and the ability for customers to select compression ratios make this a standout selection for someone building a monster pulling truck or race rig. Mahle/LN Engineering Porsche: This is a joint-venture with LN Engineering to take care of the Porsche crowd. 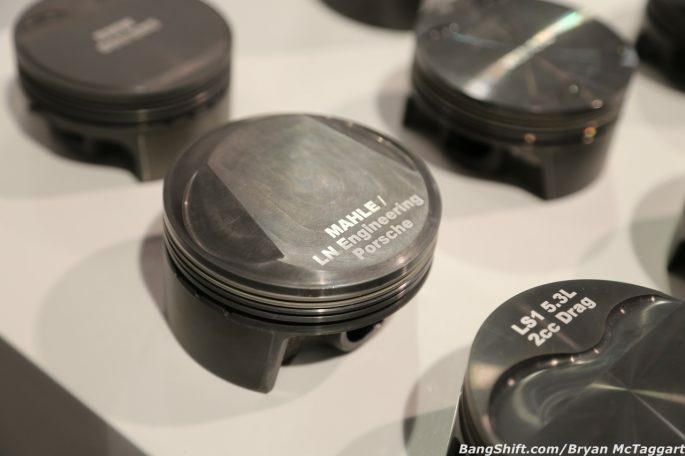 LN designs the cylinder liners and Mahle designs the pistons that fit those liners.